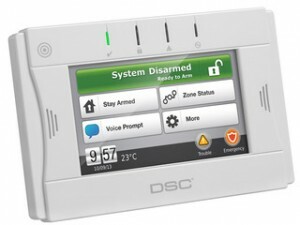 DSC is security. They are one of the leading companies selling and innovating technology for electronically securing homes and businesses around the world. Their control panels, monitoring products and their innovative wireless products secure the places we work and live. Looking back, their drive to improve the world through securing our properties has been built on their care for society and constant innovation.While many New Zealand security installers prefer Bosch and Paradox systems for residential installations. DSC systems tend to be more popular in commercial installations. They began in 1970 at a time when there was plenty of room to improve the standard security products on the market. Their first step in revolutionizing the industry was when they introduced the first small security keypad and micro-processor-based alarm panels. The small size paired with an ease-of-use and performance that the security industry had not seen made them a strong competitor right from the start. Their reputation was strengthened when, throughout the 90s, DSC paired up with two other major security system companies which were then acquired by Tyco International working together as a super-group in maintaining and innovating industry standards. By 2007 Tyco broke apart into three groups. DSC stayed under the Tyco International banner and has remained a part of their security system program. This process has strengthened the brand and given them knowledge of the industry that only comes with such unique experiences, acquisitions and growth. Today their products are innovations and set standards for the industry. They have branched into new areas of the market by providing products such as cabling items, detection devices, communication items, and control panels. Their product development and innovation is stronger today than it has ever been. The products are developed by leading engineers and experts who find the next step in their pursuit to bring the best products. All of this has resulted in products that are reliable, flexible, durable and easy to install, use, and most importantly – upgrade. After the system is installed you won’t need to waste time educating yourself on programming language and reading confusing manuals. The process of programming and operating the system is self-explanatory and you can rest assured that your things are safe and can enjoy the peace of mind that comes with this. Peace of mind is one of the results they deliver that often goes overlooked but is equally important. 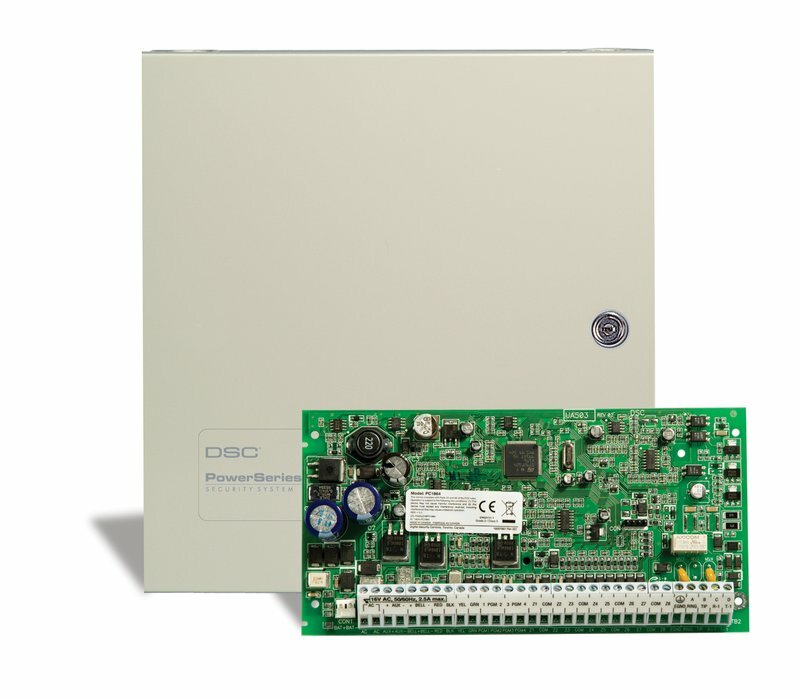 DSC’s reliability and upgradeability with 30 years of development behind them allow them to be your cutting edge security system today and for as long as you need. Your system will advance along with industry developments. 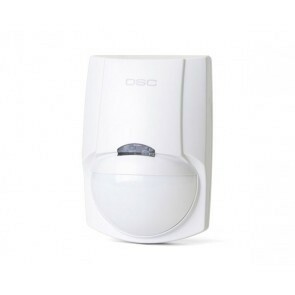 This series is a staple in the DSC line and is full of unique features that bring more than protection against intruders. This includes support for carbon dioxide detection, easy installation, different communication lines and an easy-to-operate interface. Carbon dioxide is a silent killer. In order to detect it a building needs the technology to do so. The Power Series is compatible with wireless and hardwired CO detection interfaces. The ways that security systems communicate their information have traditionally been over phone lines but this is disappearing. The Power Series can communicate via an internet line and what is called a GPRS/GSM channel. Multiple communication lines serve as backup for each other and allow added security. The automatic sync feature, in short, allows for quicker installation. 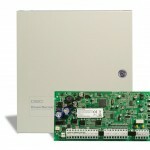 This control panel can monitor 6 different zones and caters to 48 user profiles. It can be expanded to cover 16 hardwired zones and 32 wireless zones. 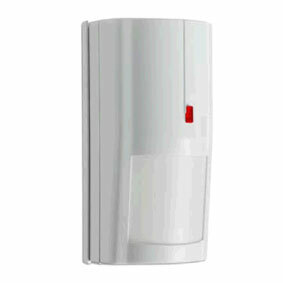 This covers 8 zones and can be expanded to monitor 32 hardwired or 32 wireless zones. Caters to 72 user profiles. This is great for businesses with many employees that need access to the system. This covers 8 zones and can be expanded to monitor 64 hardwired and 64 wireless zones. It can cater to 92 user profiles. This detector includes pet immunity up to 60 lbs, which means a pet under 60lbs won’t set off a false alarm. It also has exceptional detection performance that doesn’t deteriorate in extreme temperatures. As the title indicates, it’s equipped with pet immunity up to 50lbs. High technology at an affordable price, the LC-100-PI is popular for its slim design that goes well with any decor. In the 70’s DSC burst into the security market meeting and pushing industry standards. Their care for humanity and their passion for their craft has resulted in over 30 years of quality, reliable and innovative products in more than 140 countries. This reputation protects both the things that people want to keep secure and provides them with a peace of mind that is also crucial to a smoothly running business and a comfortable home. They have flexible programming options that allow you to adjust the system according to your specific home or business needs. For example, the master profile can give employee profiles access to arm and disarm the security system but not the authority to change the different settings for each zone. Their products are easy to install, easy to use, easily upgradeable and equipped with the highest level of technology and most innovative features in the security industry.